My Tampa Bay Mommy : Disney Tsum Tsum 12 Figures Gift Set $3.33 (Retail $19.99)! 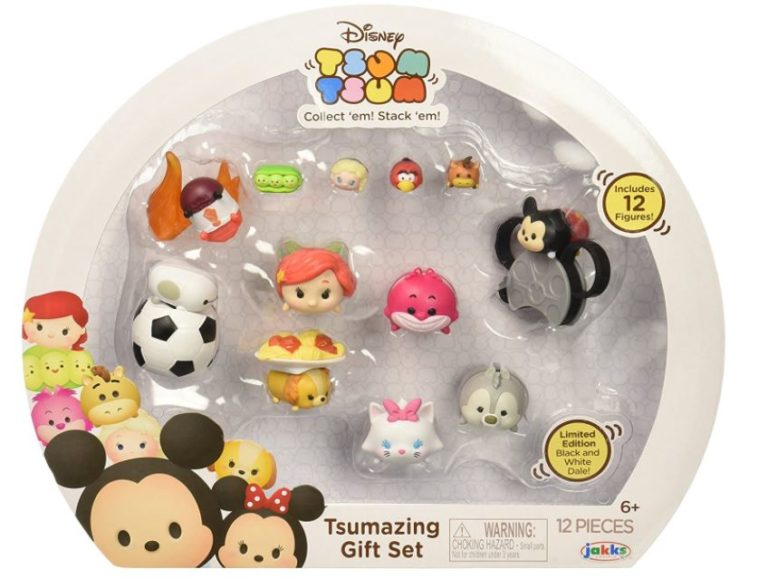 Disney Tsum Tsum 12 Figures Gift Set $3.33 (Retail $19.99)! Hurry over to get this Disney Tsum Tsum 12 Figures Gift Set for $3.33 (Retail $19.99)! Collect, stack and display your favorite Disney Tsum Tsum characters! This Tsumtastic gift set includes 4 large, 4 medium with 4 accessories and 4 small figures! Each accessory can be used to stack a large, medium and small Tsum Tsum figure on its own or can be used to build out an even taller stack with other accessories! Start Stacking! For ages 6+. Please note that this is an Add-on item and will ship FREE with a qualifying $25+ order.